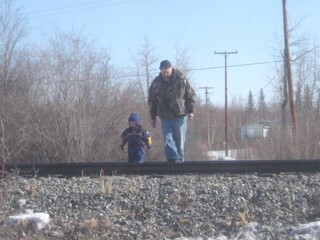 For previous logs go to the Pictures section. Our goal is to update on a weekly basis. 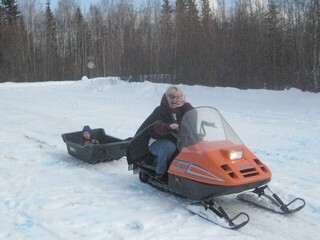 Check back each week to keep up with happenings here in Alaska. 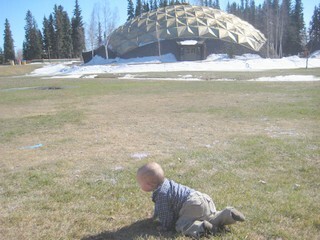 On Tuesday Karl, Kristofer and Joanna took a quick trip back to KAGV. 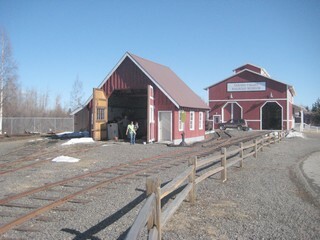 We took a trailer load of stuff down in preparation for our move back home later in May. Also the trip gave Joanna a chance to see KAGV as well as experience the hospitality of the Hansen family from our church there. 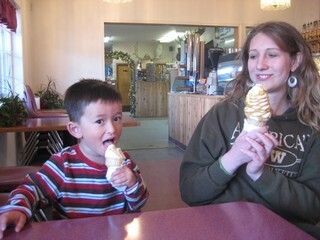 Of course no Houston, Alaska experience is complete without some softserve from Miller's Market. 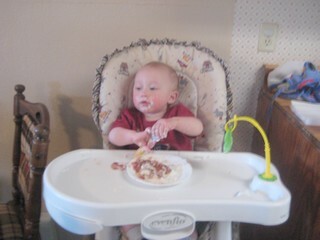 Kristofer showed Joanna how it is done. 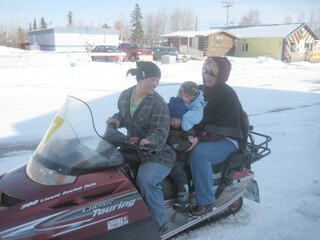 Back to Nenana just in time for the Blair's arrival late Wednesday night. 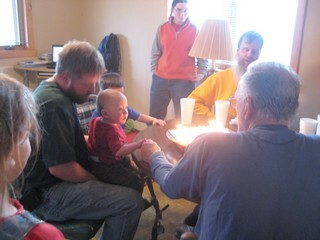 Thursday everyone came together to celebrate Kayleb's 1st birthday(one day early). 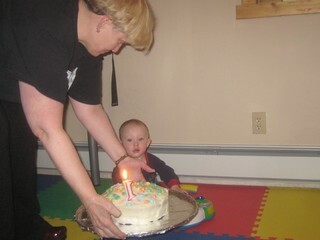 It seems that no sooner than when the cake was eaten that Kayleb felt he was old enough to learn to drive. Saturday morning brought our waffle time. This time we had guests. 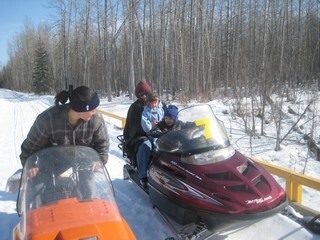 Board member Greg Pippen and his wife Kerry came down to visit and see the VFCM facilities in Nenana. 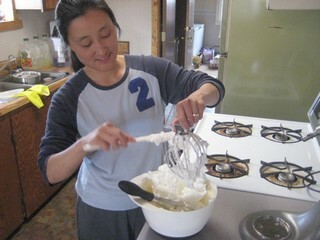 We enjoyed the time together. 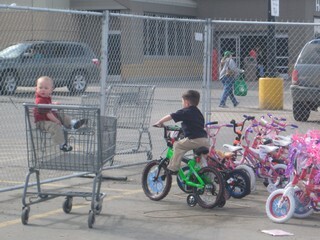 Sunday showed that with springtime came time for Kristofer to get a real bike. 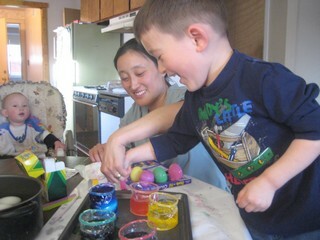 He tried a few larger ones but this one was just right. 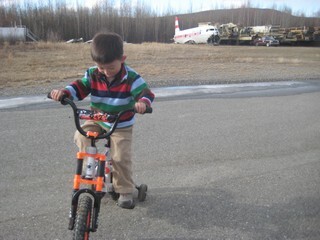 Once we got home he got the chance to give it a spin out on the ramps at the airport. 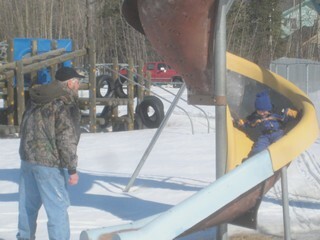 Back to the playground for more fun with Grampy. 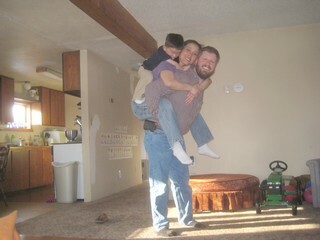 We can have fun as a family at home too. 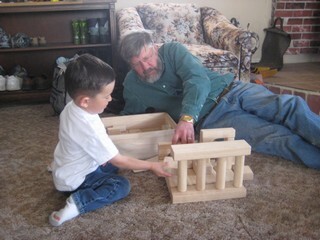 Grampy got to build things with Kristofer. 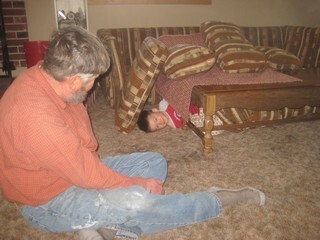 The sofa forts aren't working out as well as when we lived in Bethel. The apartment at KYKD had a primo fort building sofa. 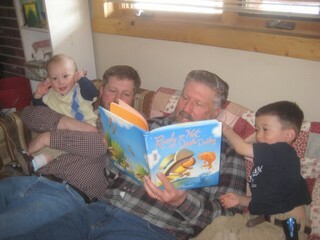 Kayleb got in on lots of Grampy action too. 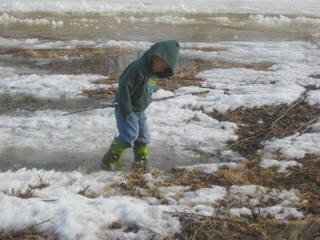 After Grampy left, the reality of the ugliness of spring breakup started to sink in. No worries, Kristofer is prepared. 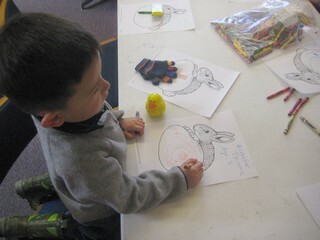 On Saturday there was a great Easter celebration at the Nenana library. 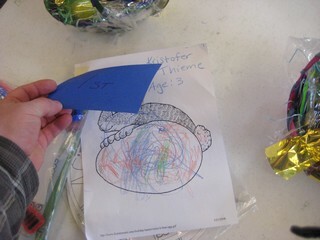 Kristofer entered his drawing into the contest. 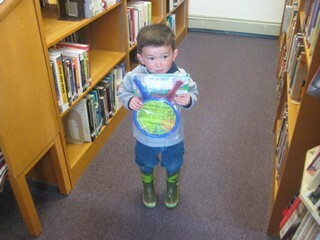 He won 1st place in his age category and got these great racket thingies. 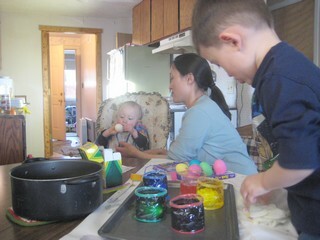 At home we dyed our eggs for the first time with the boys. Both of them got in on the action. 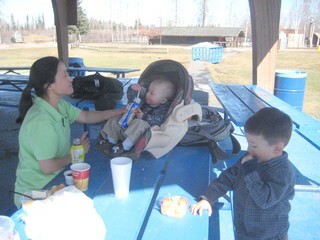 On Sunday we opted for a time together as a family at the park. 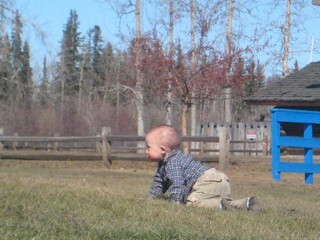 Kayleb had his first chance to crawl on grass. What a whole new world! No walls or doors to confine him. 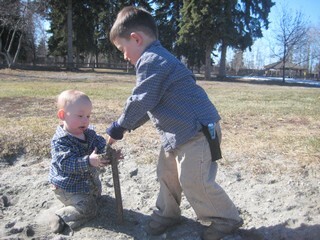 They both ruined their church clothes but had a great time doing it. 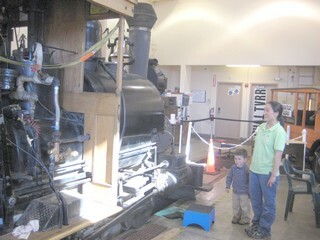 Kristofer even got a sneak peak at the steam locomotive at the park in the engine house, complete with his own lump of coal from the tender car! 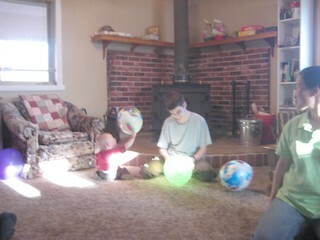 Kristofer is enjoying the toys from his Meemaw. 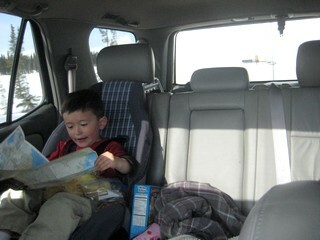 Kayleb can find a way to enjoy anything. 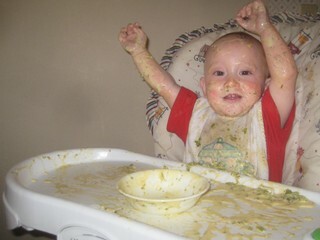 I believe this was brocolli cheese soup that he is shown enjoying here. 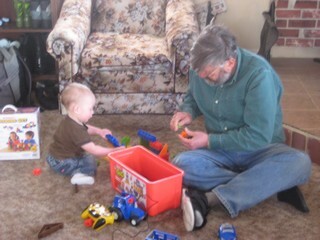 Grampy came this week. 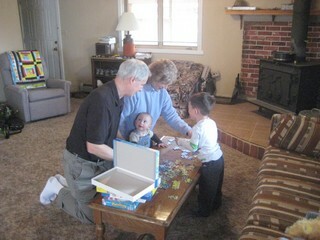 He is enjoying time with his grandsons and they are enjoying him too. 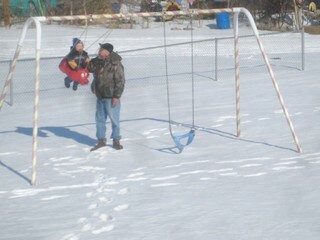 Here we go for a walk and enjoy some time at the playground. 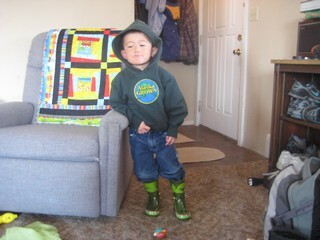 Kayleb is getting into the office work at the station as well. Here he is marketing his special skill of not being able to read that makes him a preferred agent for shredding documents with personal information on them. 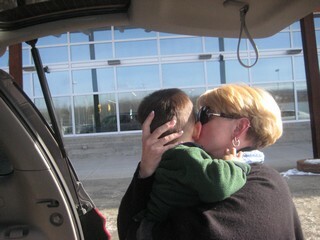 On Thursday Meemaw came to visit us. Kayleb immediately started showing her around. 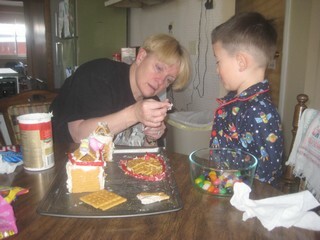 Lots of fun sharing. 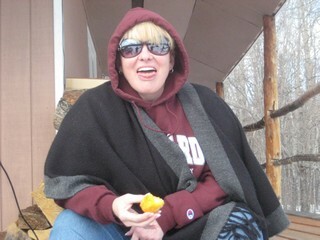 First Meemaw shared from her bag of tricks. 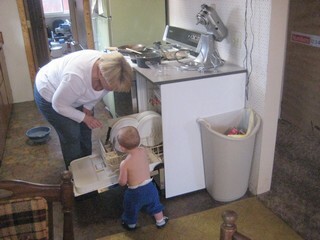 Then Kayleb showed Meemaw his favorite place, an open dishwasher, ahhhhh! 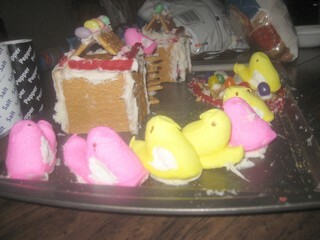 With gingerbread out of season, it was time to make a "Peeps" village out of graham crackers. 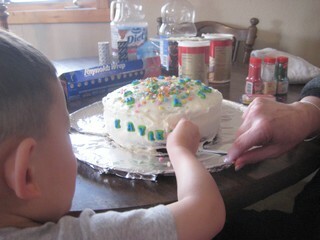 Then came the project of making a cake for Kayleb's "Not Quite a Birthday" party. 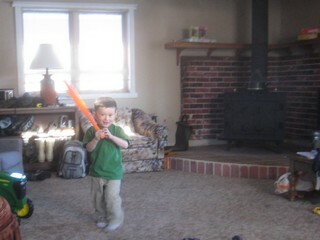 Among the presents that came out of Meemaw's bag of tricks was a new bubble gun that came with "washable" colored bubbles. 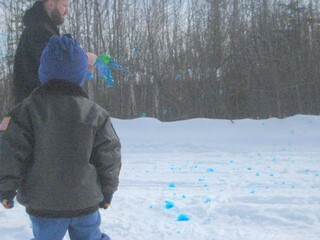 Not sure about the bubbles, but coloring snow was fun. 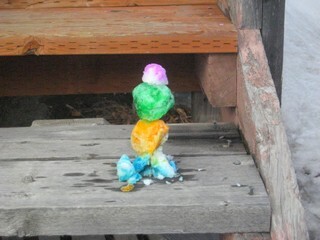 Evidently even though this looks like a delicious snowcone, it is not. 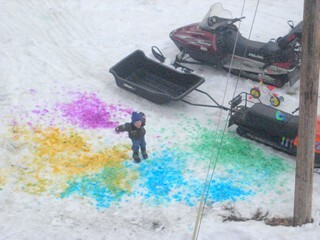 Makes for a fun little colored snow person though. 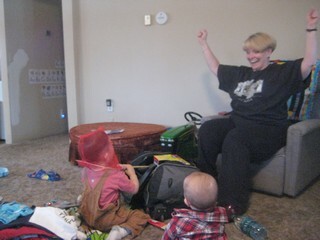 Meemaw and Kristofer had fun going round and round the block before we went to the library to get a new bag of books for the week. 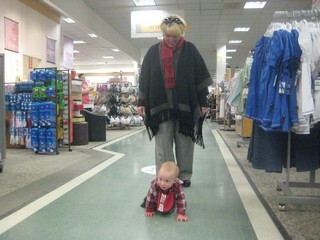 After our library visit we took Meemaw out on a trip into the wilderness to the west of town. 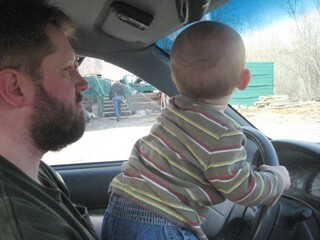 Then to Coghills General Store for some medicine in hope of slowing our runny noses. 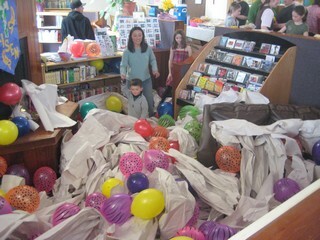 Now for Kayleb's "Not Quite a Birthday" party. 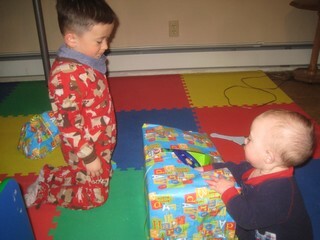 Kayleb was a little confused by the cake but enjoyed the present unwrapping with a little help from his brother. 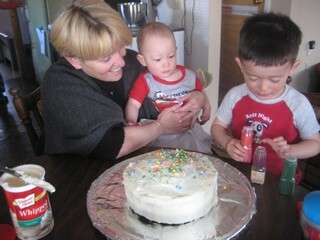 Sunday was our last day with Meemaw. 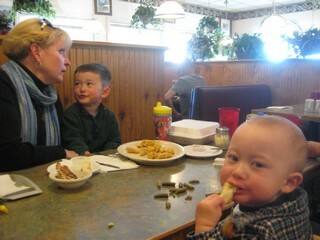 A goodbye meal before taking Meemaw to the airport. Thank you for visiting us. Are you looking for the rest of the pictures? 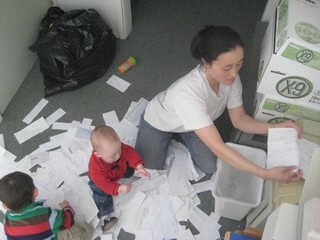 They keep getting archived to the pictures section. Click on through to see more.